"At the close of the submission deadline, the jury was given access to all of the designs. Each jury member was asked to select and rank his or her top 10 designs. The designs were ranked based on criteria such as adherence to competition and program requirements, ability to accommodate special events, redeployability, as well as curb appeal, concept, and design creativity. 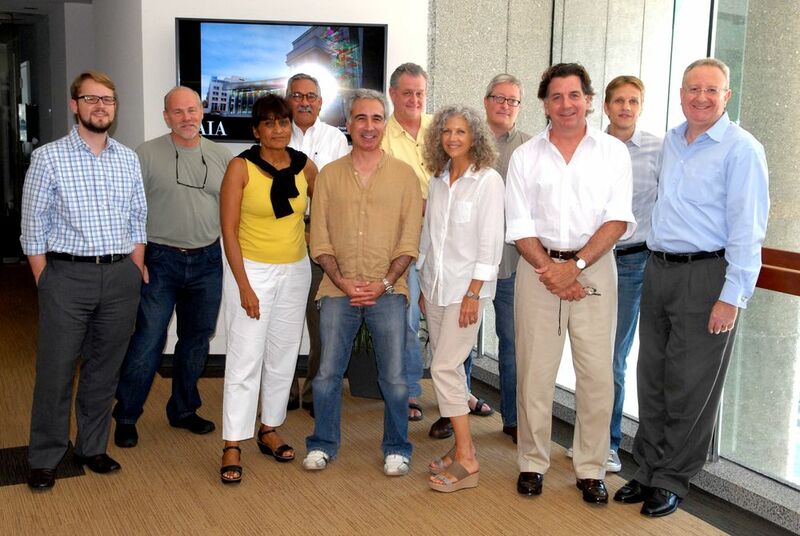 The 11 member jury met at the American Institute of Architects Headquarters in Washington, DC on Sunday, September 7, 2014, and deliberated for five hours. At the start of jury deliberation, no clear winners emerged. The large number of ranked submissions was therefore narrowed down to a small group of about 15 designs, based on the number each design appeared on different jurors’ lists. Subsequent rounds of voting and further discussion narrowed the selection down to the top three designs, from which a final winner was selected. The major concerns during the last round of deliberation focused on the feasibility to realize the project, including constructability, the ability to obtain permits and approvals, and budgetary restrictions."